Great events like the season launch of Game of Thrones can be instrumentalized for your own marketing, even if you’re in a different industry. You just have to be creative. This and more was shown by American brands this week. The full ranking of top posts can be found at the end of the article. The absolute top post of the week comes from Budweiser. To mark the departure of basketball star Dwyane Wade from the NBA, the brand creates an emotionally charged video that honors Wade by the handing over of garments by people he has helped throughout his life, just like the sharing of jerseys happens after a game. The post got 215,000 likes and reactions, 16,000 comments and 179,000 shares on Facebook. That makes a total of 410,000 interactions. Callaway also makes it into the top posts with a sponsee post. A photo showing golf star Phil Mickelson on the golf course, paired with a short comment on his score and a thumbs-up, that’s all you need. Have a DAY, Lefty!  Phil rides 7 birdies to an opening round 67 (-5) at The Masters. The Post receives a total of 37,000 interactions, including 34,000 likes & reactions, 1,000 comments and 2,000 shares. The restaurant chain Buffalo Wing’s uses the global attention of the series Game of Thrones for their benefit. Just in time for the start of the last season, the site is promoting its Dragon Fire Wing Sauce, which will be on sale exclusively on the Sunday of the season premiere. The post receives 45,000 likes & reactions, 15,000 comments and 14,000 shares on Facebook. That makes a total of 74,000 interactions. Charlotte Russe makes it into the top 10 with a coming soon post. After it was announced in March that the clothing chain will close all branches, this message comes as a surprise for the fans. The joy is great and the information is diligently shared. We are planning a brand new online shopping experience, as well as re-opening 100 retail locations across the US. Watch out for more details coming soon! The post has a total of 44,000 interactions, including 13,000 likes and reactions, 14,000 comments and 17,000 shares. This always works. Facebook shows in this post that it is not getting old to use simple associations that address everyone, to make users react and link their friends on posts. The secret to surviving Mondays: A good friend (and lots of coffee). Give your weekday sidekick a shoutout with this week’s compliment card by community member Allison Black. The post receives 26,000 likes & reactions, 1,000 comments and 3,000 shares. 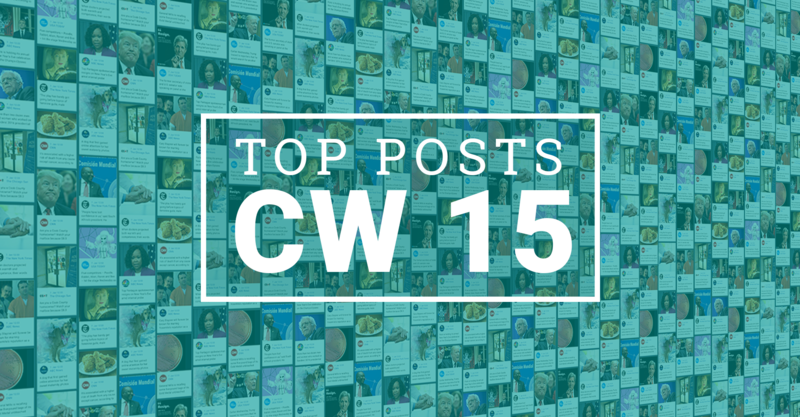 All top posts of the 14th calendar week with all key figures can be found here.